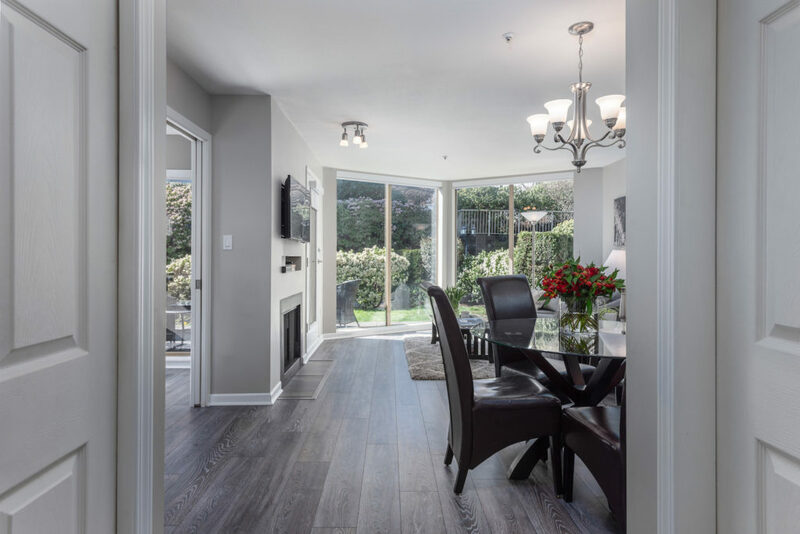 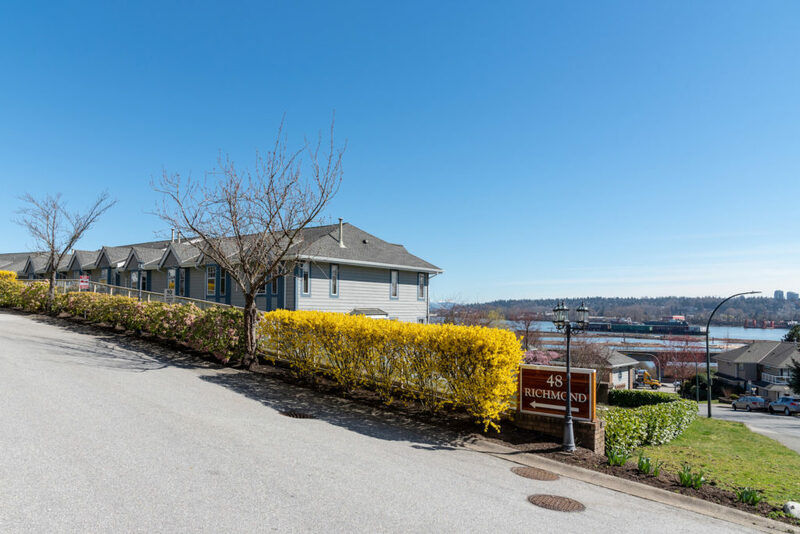 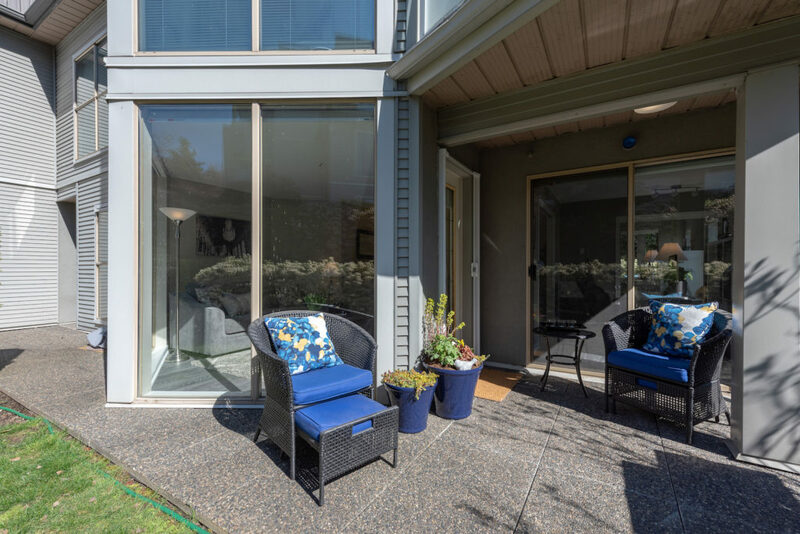 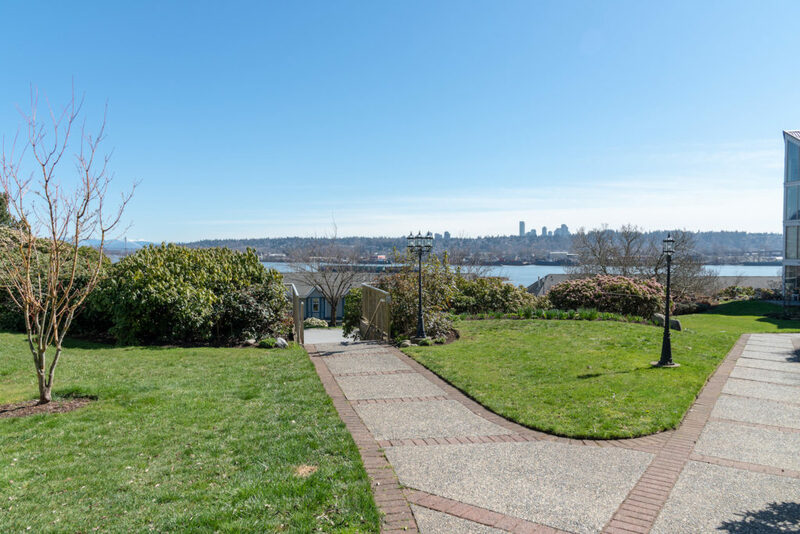 Welcome home to Gatehouse Place in New Westminster’s desirable Fraserview neighbourhood. 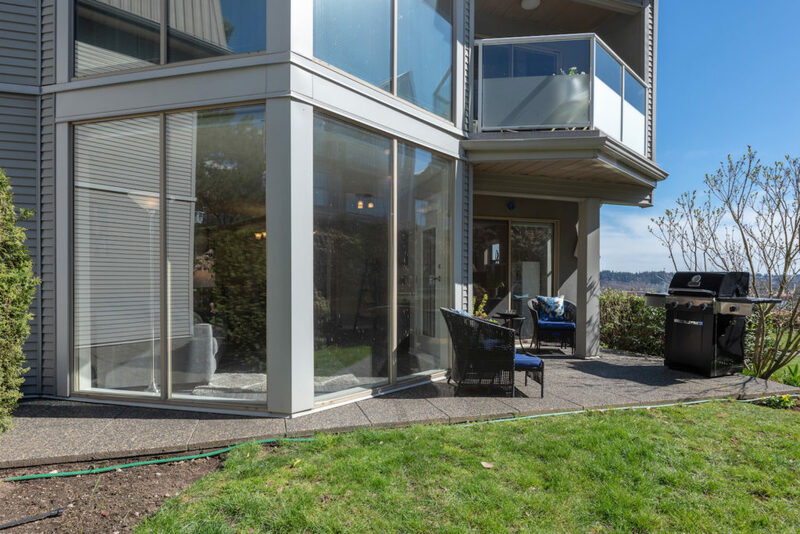 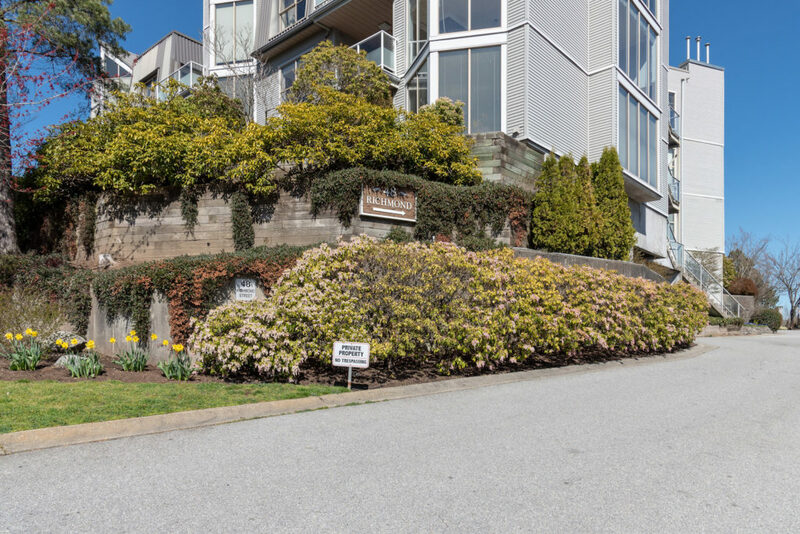 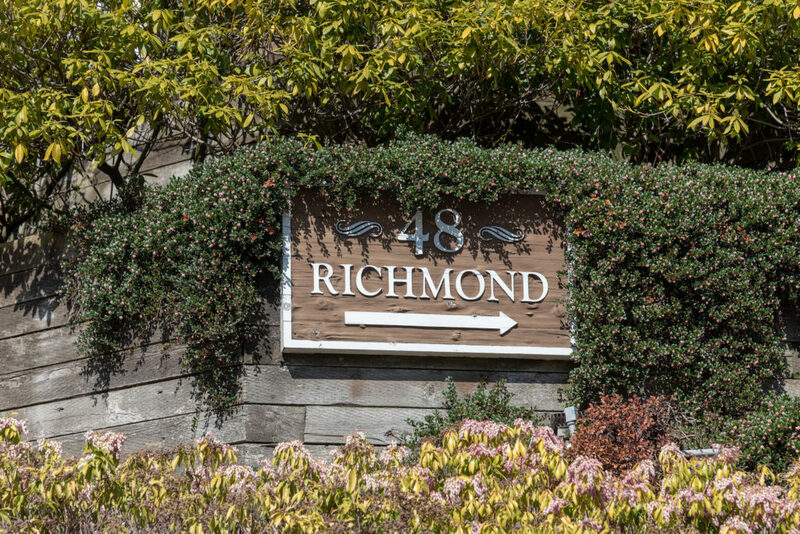 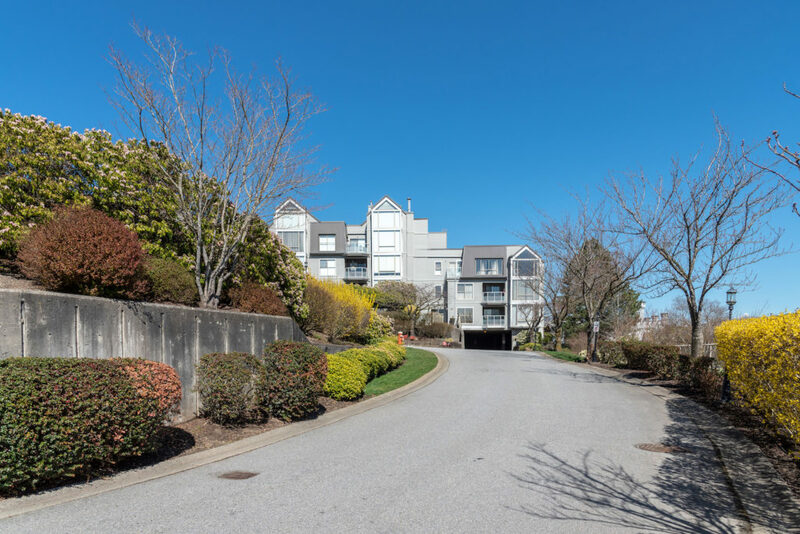 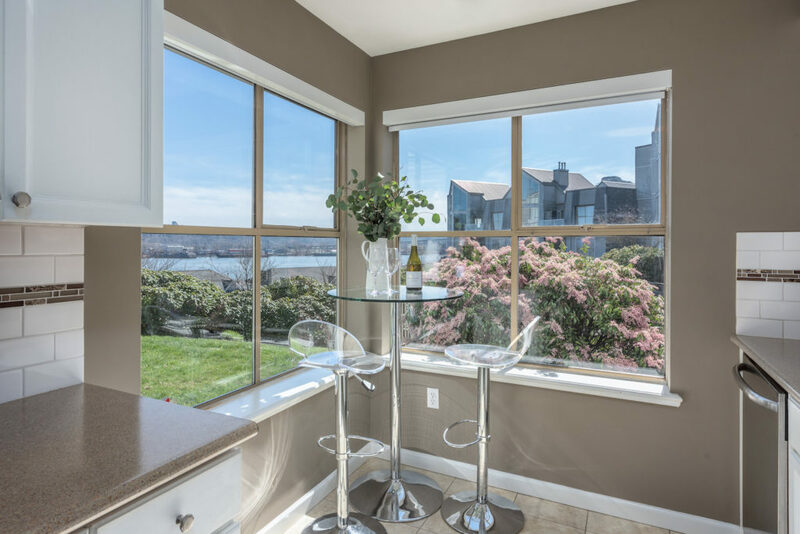 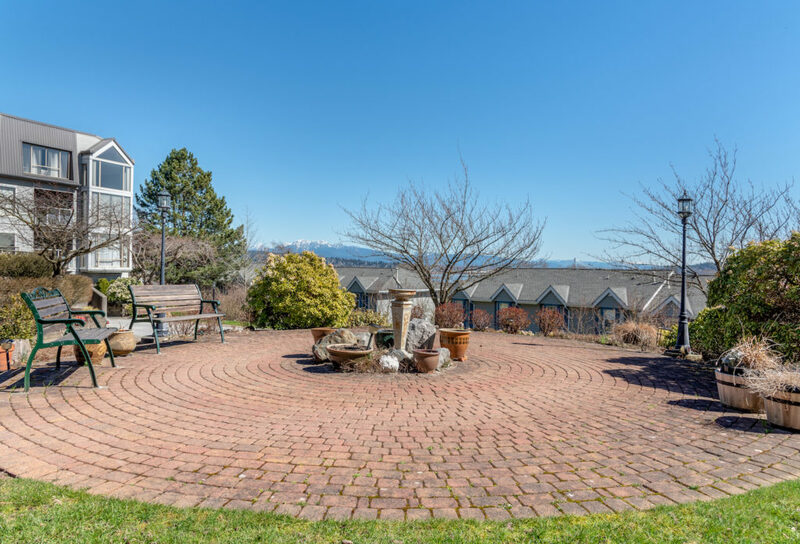 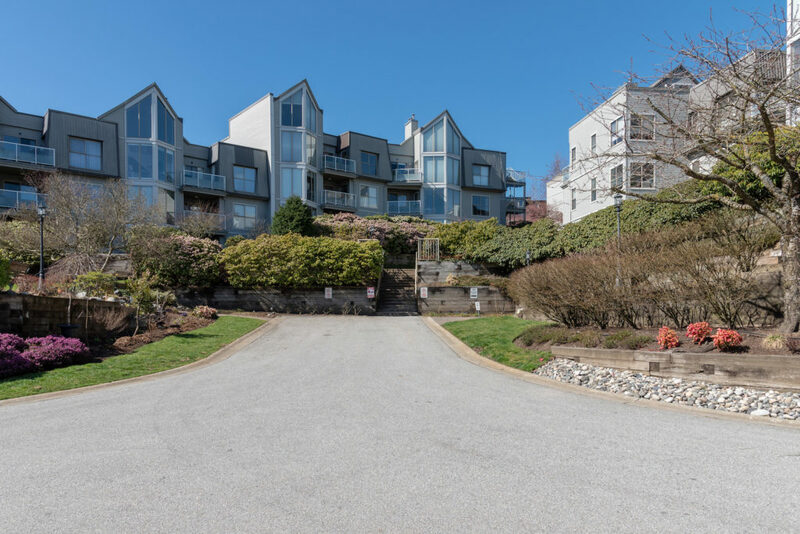 If you’re looking for a spacious home surrounded by mature landscape and endless river views, your search is over. 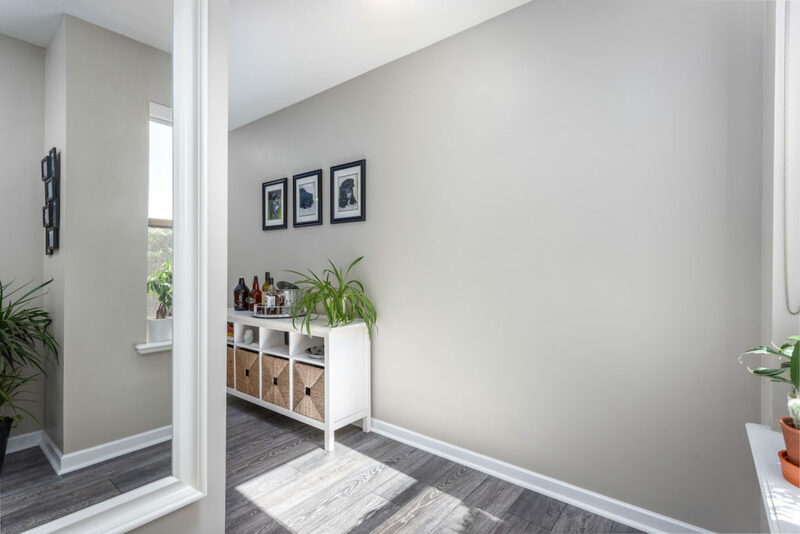 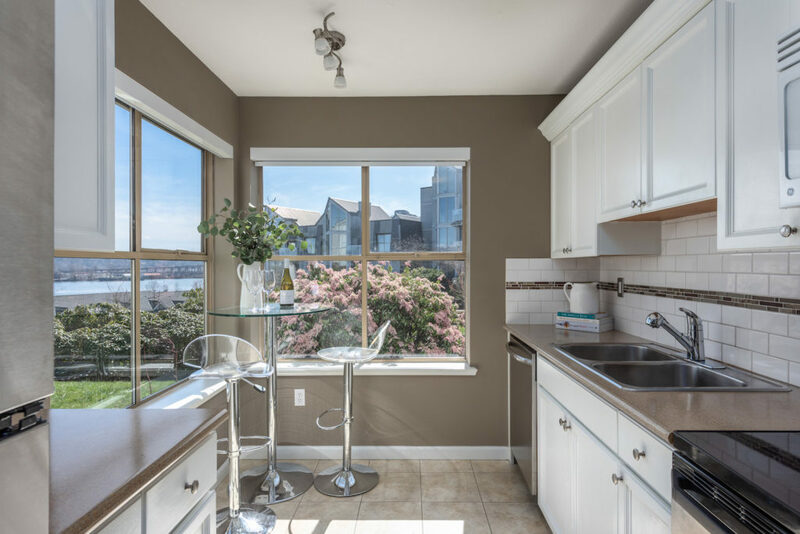 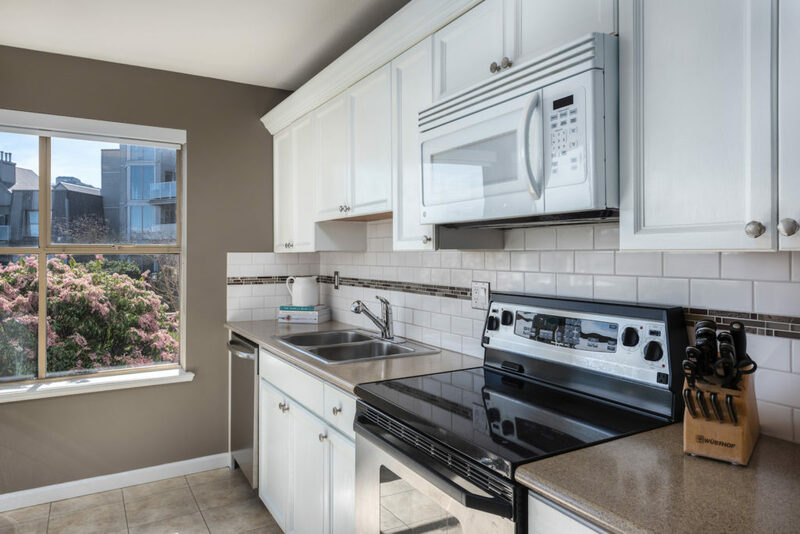 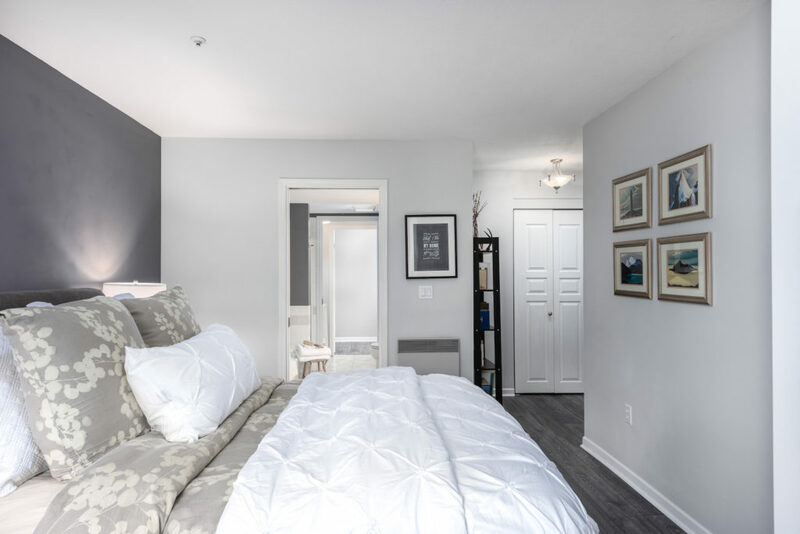 This two-bedroom and one-bathroom garden unit offers a generous floor plan with more than 1,000 square feet of light-filled living space. 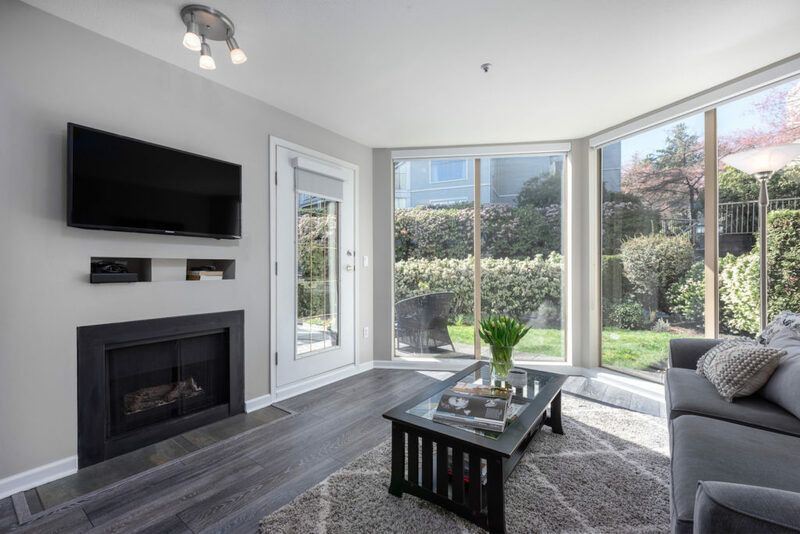 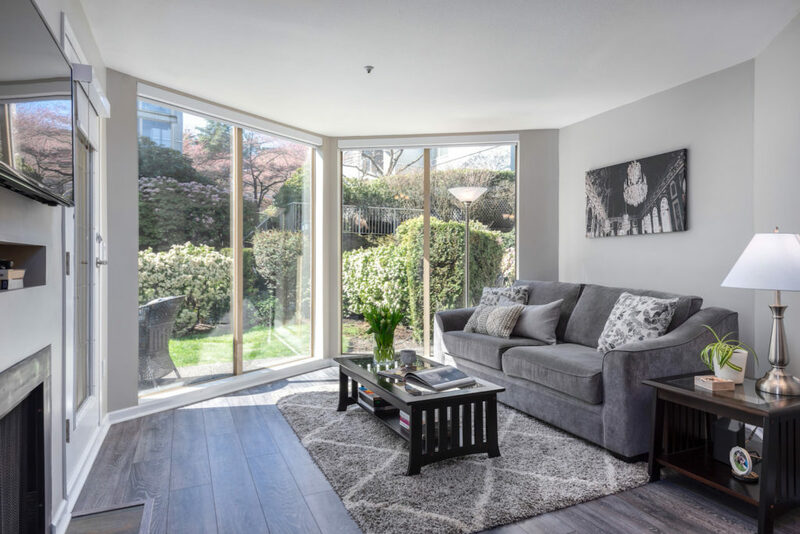 The open concept living and dining room features a gas fireplace, near floor-to-ceiling windows and opens to a large, partially covered wrap-around patio surrounded by mature landscaping. 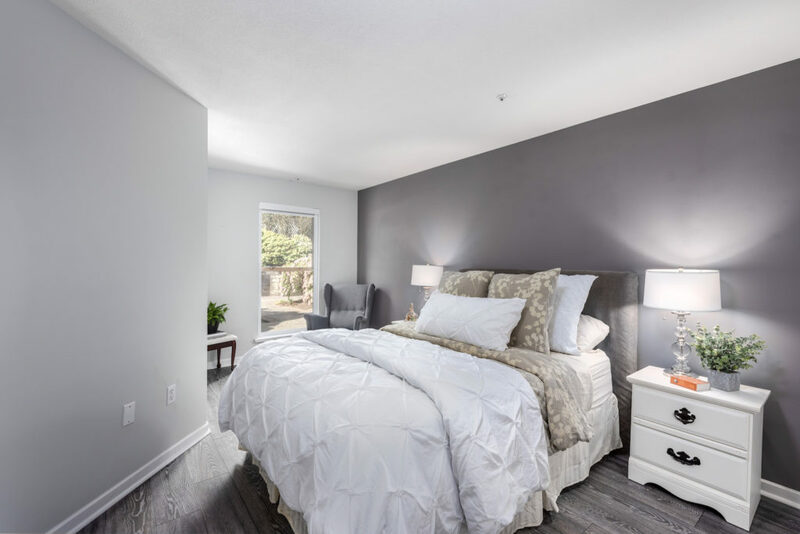 You’ll love the roomy master bedroom complete with a spacious walk-in closet with built-ins. 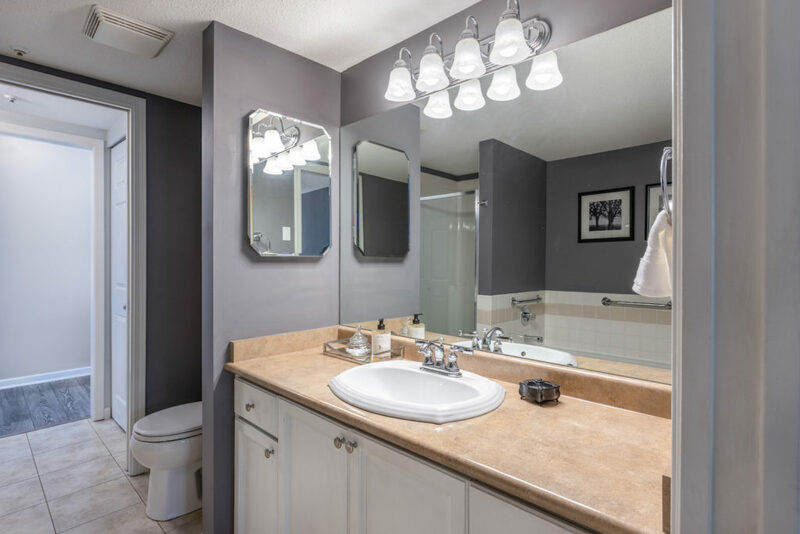 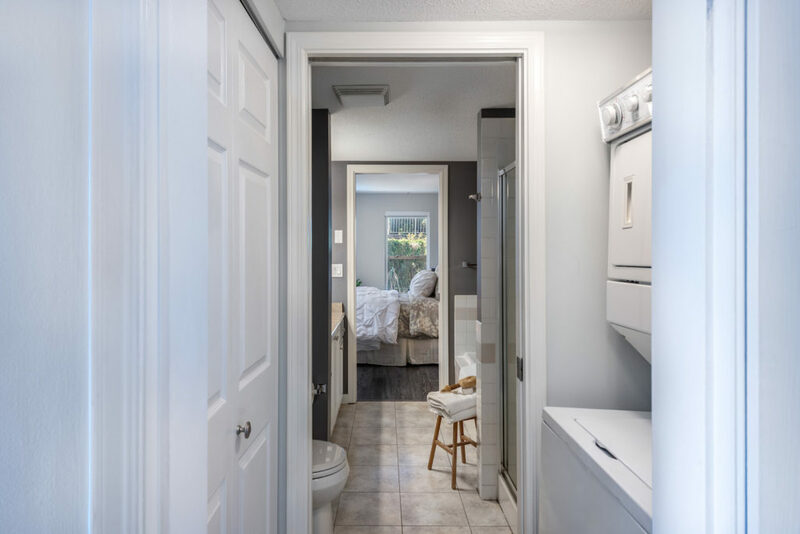 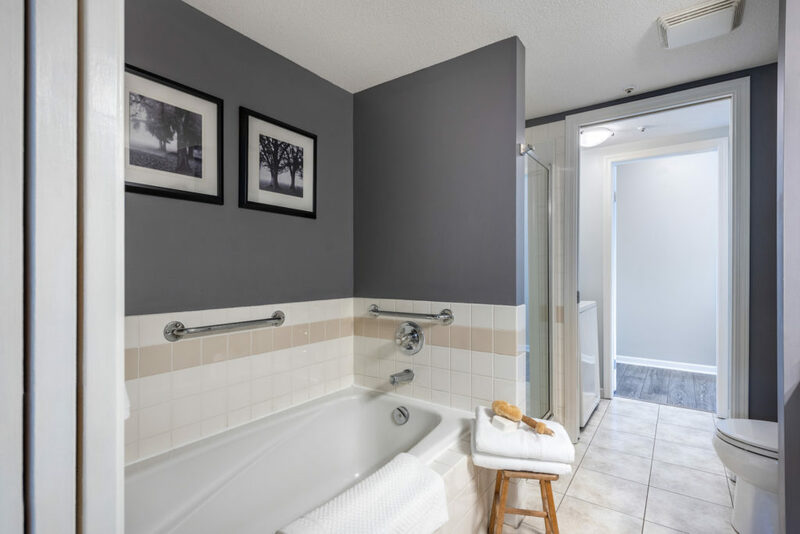 The bathroom doubles as an ensuite with access from both the foyer and master bedroom. 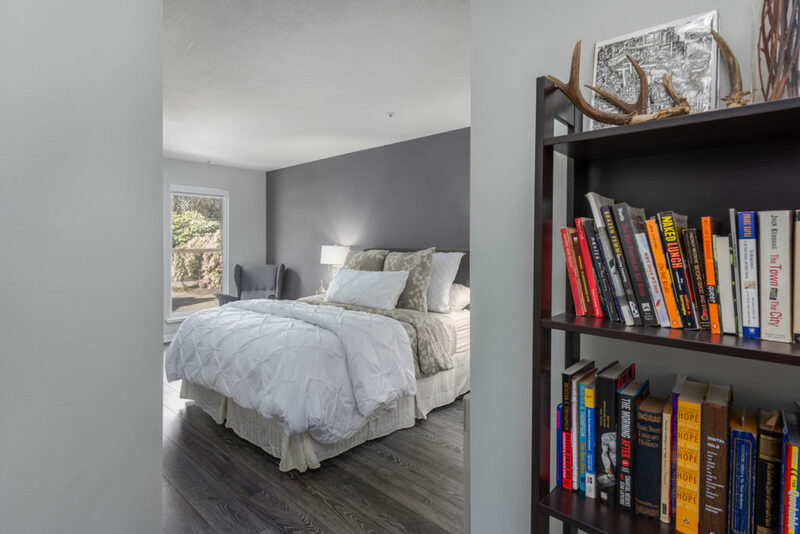 A second bedroom and bonus pantry/storage closet rounds out the space. 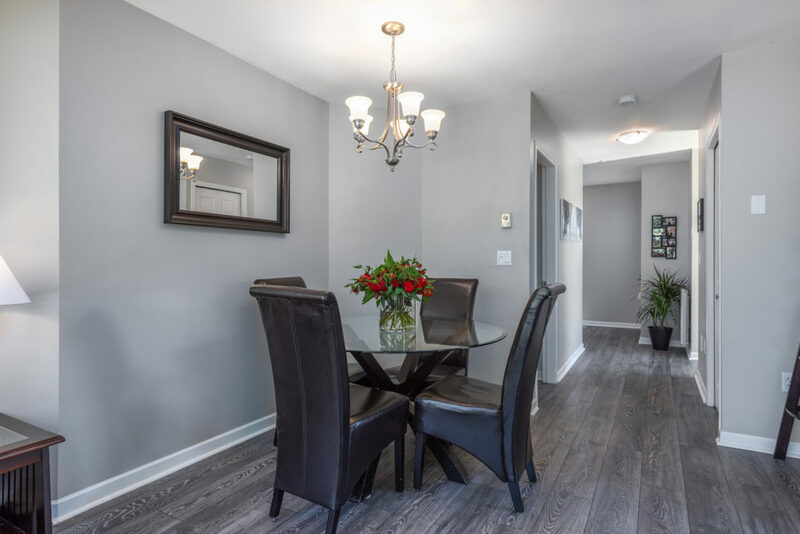 The warm grey laminate floors and neutral colours throughout give this space a tranquil feel. 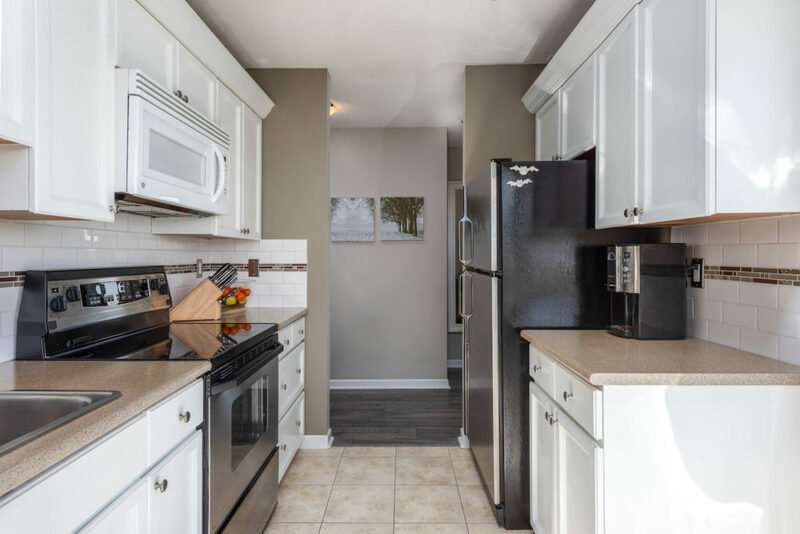 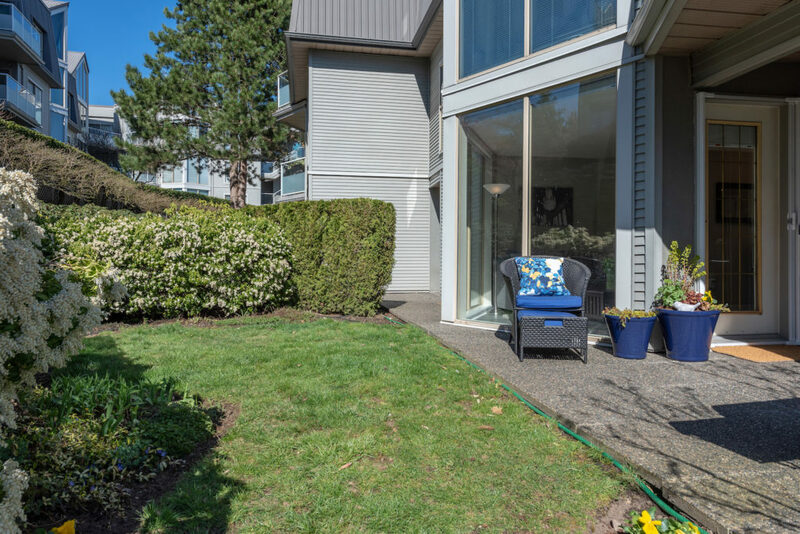 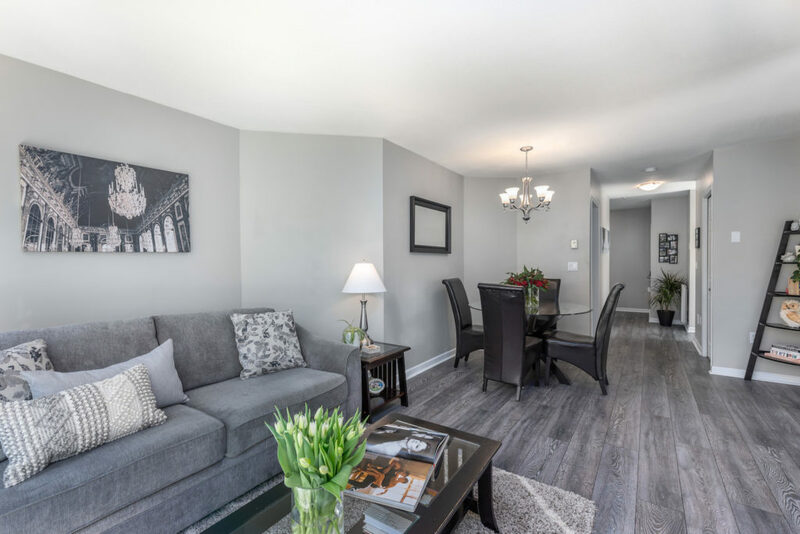 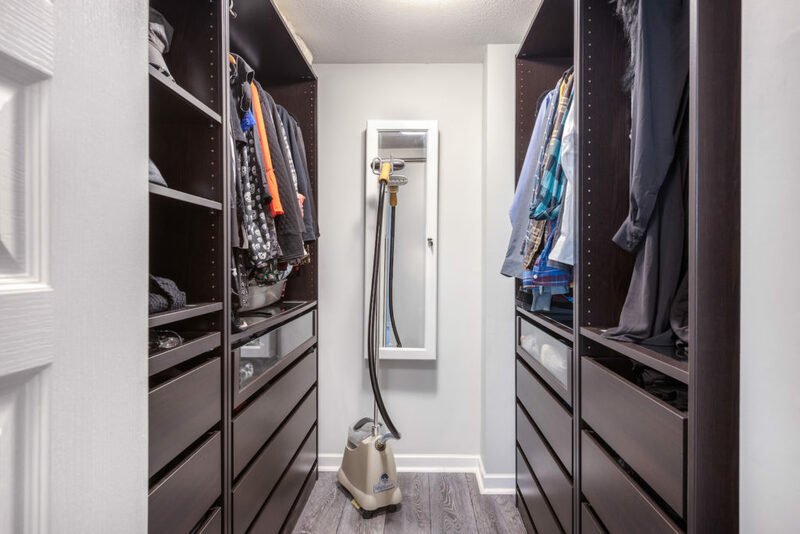 This must-see, move-in home in a 19-plus development includes in-suite laundry, one secured parking spot, large storage locker and direct access from the patio. 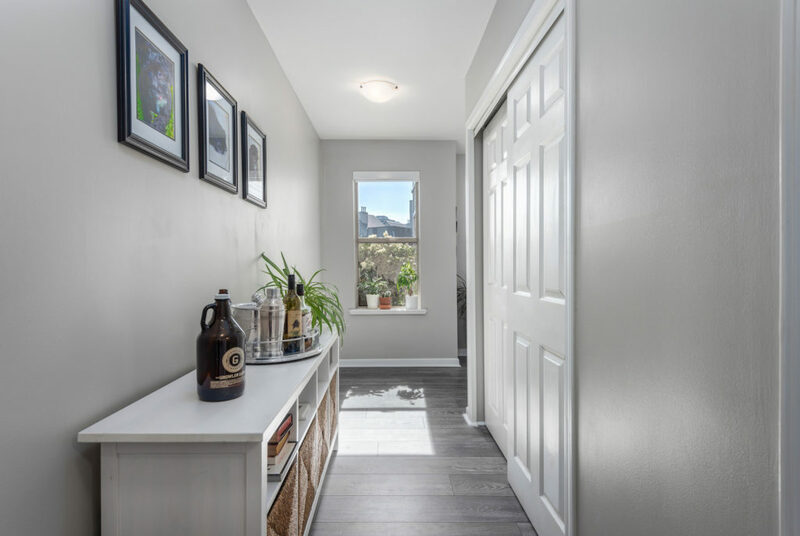 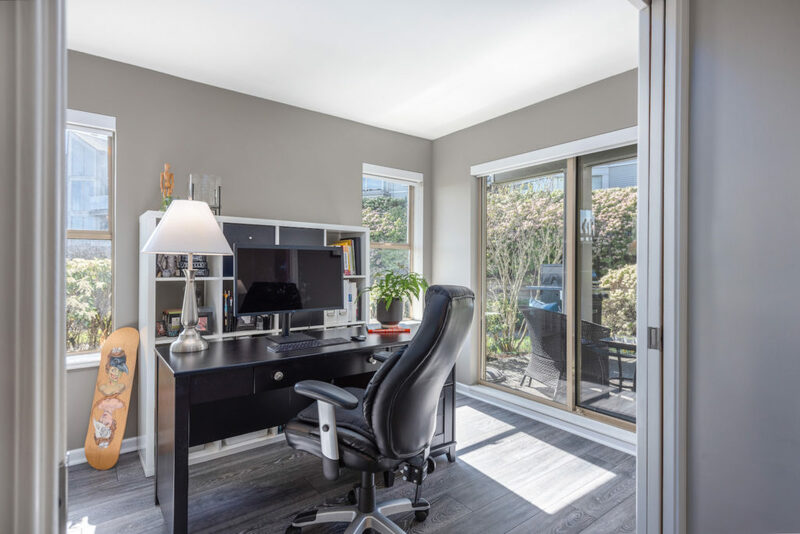 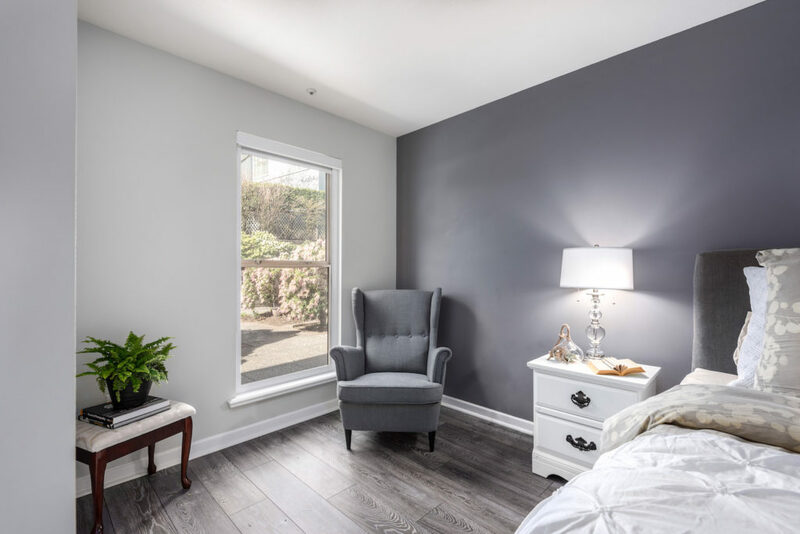 That’s right, this is one of the only homes to offer direct entry from interior and exterior, meaning you can bypass the elevator and come and go from the privacy of your back door. 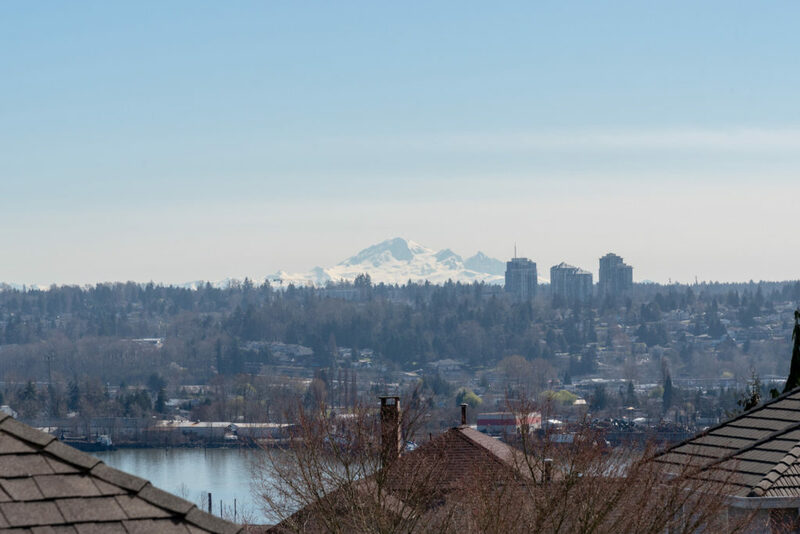 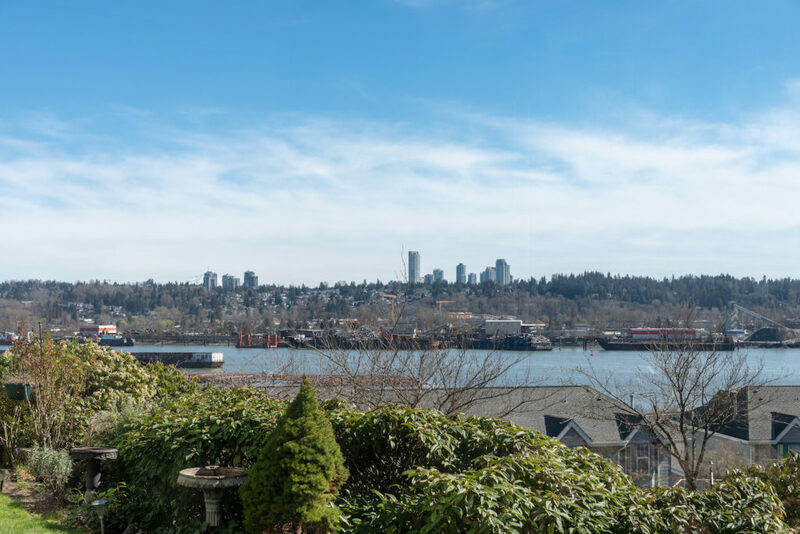 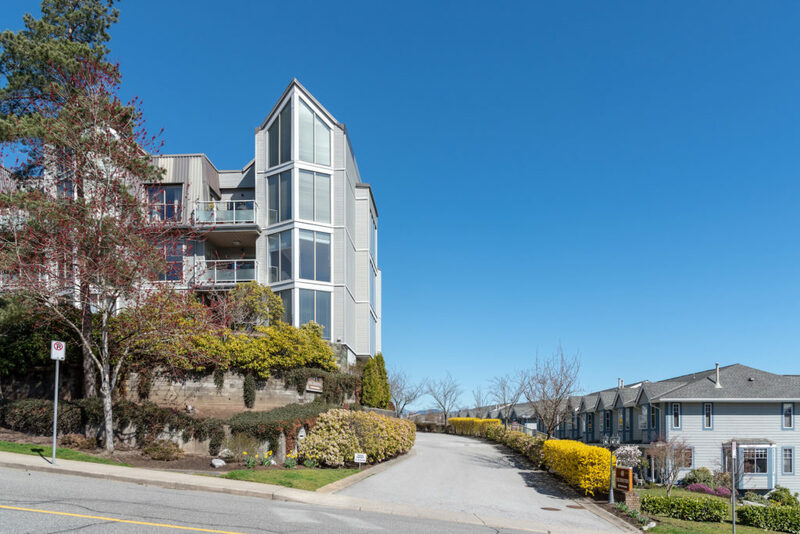 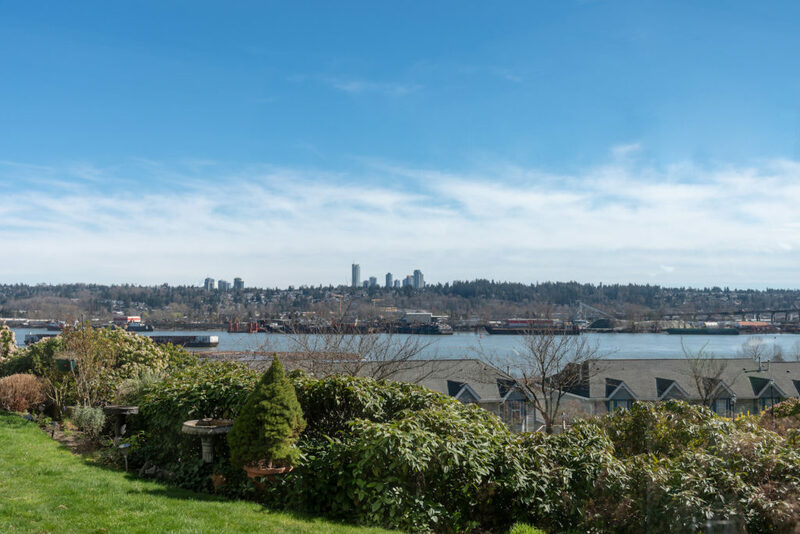 Make the move to New Westminster, one of Metro Vancouver’s most commuter-friendly cities that offers walkable neighbourhoods, diverse amenities and excellent transit. 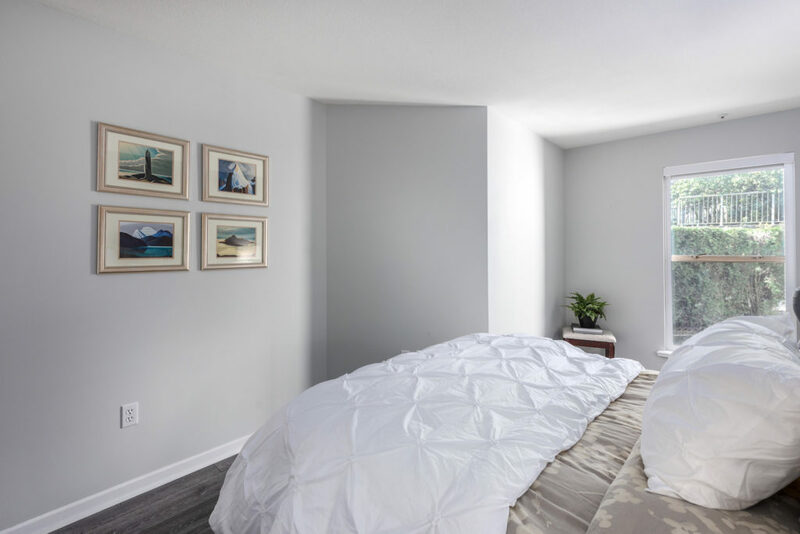 This well-run and maintained development offers an on-site guest suite. 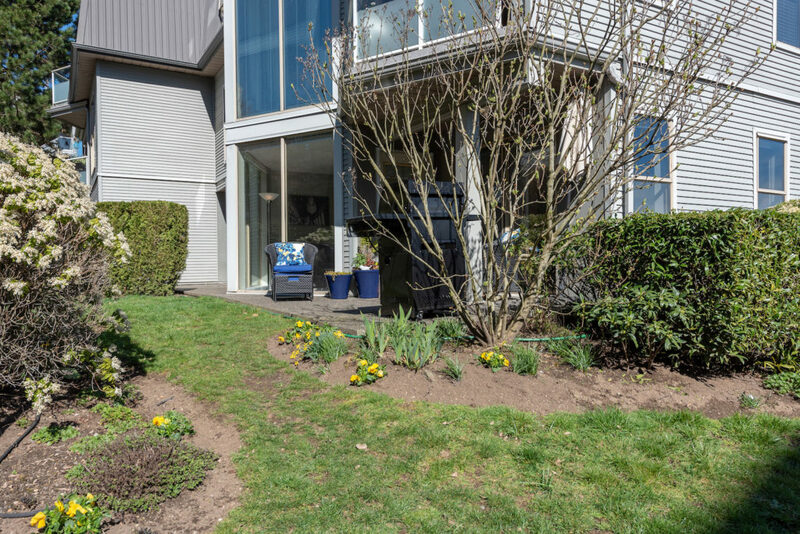 Two cats or one small dog are welcome and building upgrades include full repiping, roof and rain screening.